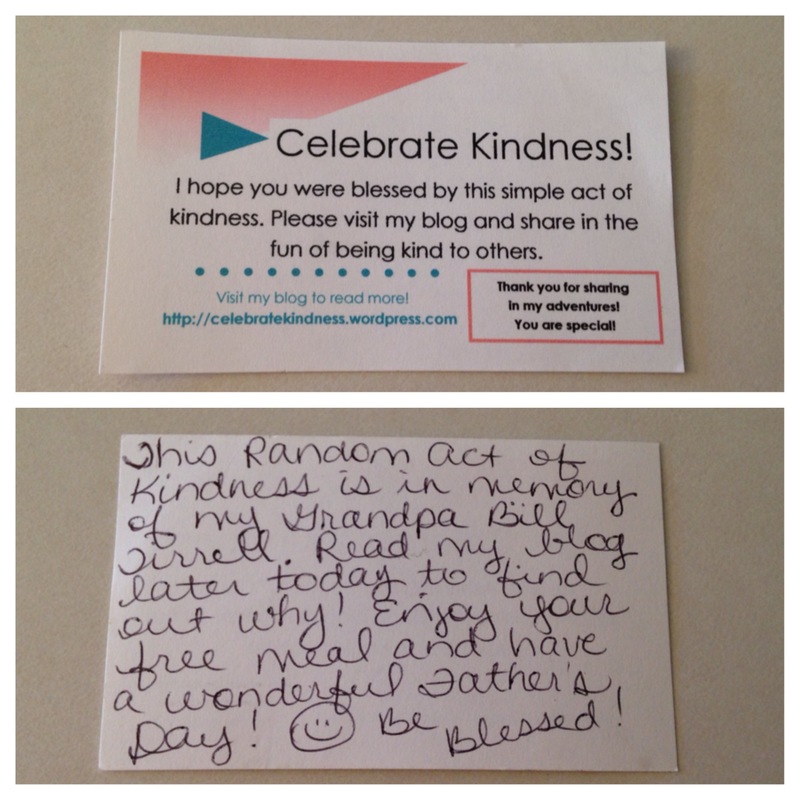 Today I wanted to do a Random Act of Kindness for Father’s Day in memory of my Grandpa Tirrell. Unlike many of my friends who grew up with grandparents right down the road, I have limited memories with my grandpa as he lived several states away in Massachusetts. My reflections are frozen snapshots in time: Smiling in a posed picture in front of the car he drove down to visit with us. Laughing at Thanksgiving, holding a bag that broke as the camera flashed. Giggling at a joke that only he and I shared. 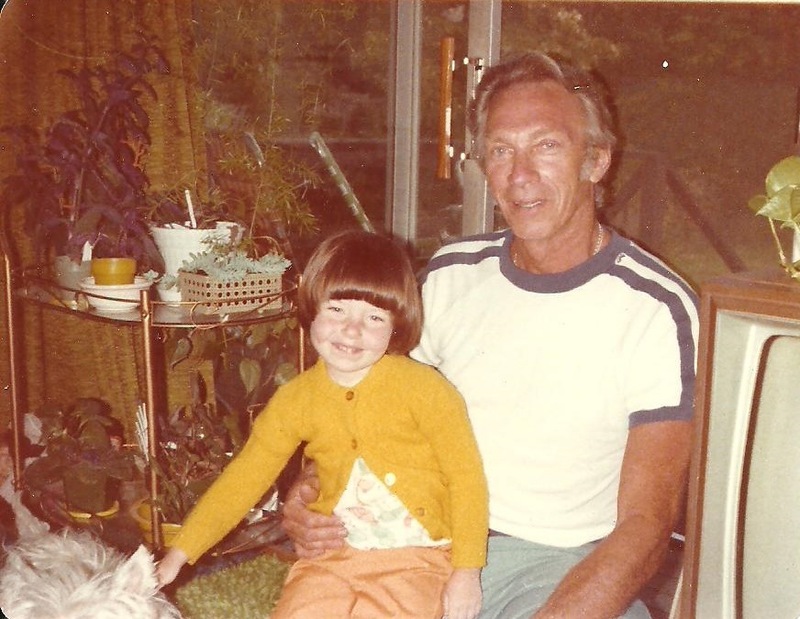 My visits were few and far between, but I always held Grandpa Tirrell close in my heart. So today, as I was remembering all the fun qualities I loved about Grandpa Tirrell, I thought how nice it would be if I could buy him dinner as a small sign of appreciation. Unfortunately, my grandpa passed away in 2005, making such a wish impossible to grant. However… I could pay it forward to someone else in his memory instead! Yes! That would be a wonderful way to honor him this Father’s Day! I thought for a bit about which restaurant I wanted to visit and all of a sudden, I knew EXACTLY where I needed to go. I am a southerner and we southerners like our home-cooked, southern style food. What’s the one restaurant that would make Grandpa Tirrell roll his eyes at the pure novelty of all things southern? 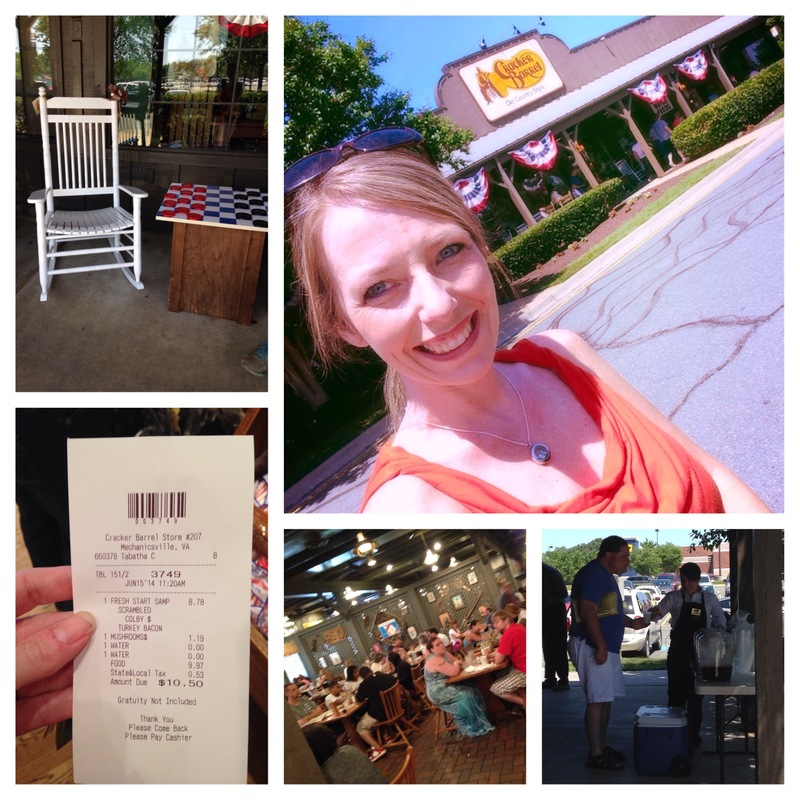 Why, Cracker Barrel, of course! I grabbed one of my business cards and quickly wrote a message on the back, then headed straight for the restaurant. Within a few minutes, I was walking the floor with a manger, hand-selecting who I wanted to bless. “Just walk around with me and scan the restaurant. When you see a table you like, just tell me and I’ll get their tab from the waitress and let you pay for them.” Oh my goodness! What a delight! I got to actually PICK the people who would receive a free meal! How exciting! Well, I didn’t have to look very long. As soon as I walked into the seating area, my eyes were drawn to a couple to my left, whose finished plates were stacked neatly on the edge of the table, waiting for the waitress to remove. They were older than me, and seemed to be lost in their thoughts. They were perfect! I pointed them out to the manager and she quickly gave me their tab. It only came to $10.50. I could almost hear my Grandpa laughing in my ear. “See? You call that a dinner for two? If you were eating a meal up here, it would cost you that much just for two glasses of tonic!” I gave the manager my business card and asked her to hand it to the couple explaining that their bill was taken care of. I walked to the register, paid for the couple’s dinner, and tipped the waitress 30% of the bill. It made me so happy to know they would receive such a sweet surprise on Father’s Day! If you are celebrating a holiday missing someone who has passed on, maybe you will think about paying it forward in their memory. It sure did put a smile on my heart! Next year I think I’ll do the same thing in memory of my Grandpa Jimmy or maybe my Grandma Payne. Or… maybe I won’t wait for a holiday at all, but just do it in a totally random way on a totally random day. Who knows what I’ll do? Guess you’ll just have to check back in to see!